Waterworks Park is a newly restored and repaired city park that is now open to the public for year-round enjoyment. 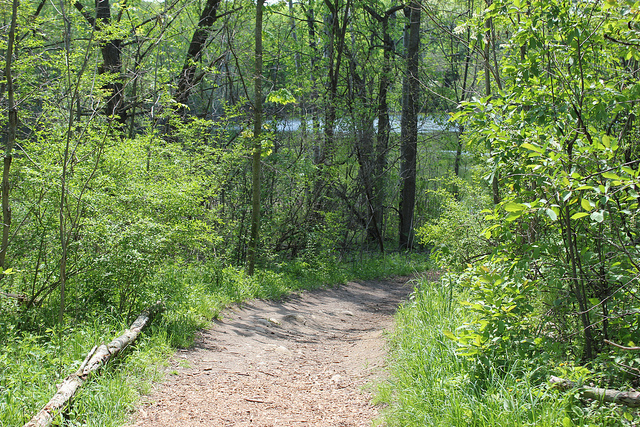 This permit-only park is one of the very few open green sapces where the public can access hiking trails, fishing, and picnic spots in Annapolis. Freshwater fishing is abundant in the area, but it is only for those with state-issued freshwater fishing licenses. All fishing is also catch-and-release in the park grounds. For outdoor lovers, the trails system here is for all ages and abilities looking to explore nature in all its glory. The Reservoir Trail is a flat surface trail that is handicap-accessible, and it offers views of two small ponds around the eastern edge of the main reservoir. The Overlook Loop Trail is perfect for beginner hikers and is just over a half-mile long, and while it has hilly and rough terrain, you can relax and picnic at the end of the trail. Looking for a hiking challenge? The Woodland Loop Trail covers hilly and tough terrain through deep forest. Be sure to grab your sunscreen and plenty of water before heading out, because you’ll find yourself wanting to explore all 40 acres of natural beauty.